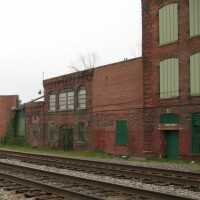 The American Cigar Company consists of two buildings which remain from a stemmery complex originally constructed in 1903: the primary processing building and the boiler building. 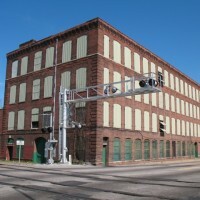 The resource is a good example of turn-of-the-century mill construction and Victorian industrial design. Stemmeries were facilities where the stem was removed from the tobacco leaf prior to its manufacture into cigars. This stemmary was a large facility for the time and immediately established Norfolk as a notable city in the field of tobacco production. The facility was built near the railroad tracks for easy transportation. The facility was also built near to the poorer African American section of Norfolk for easy access to an inexpensive labor force, particularly African American women who represented most of the workforce for many years. It was the site of a failed but noteworthy Women Wage Earner’s Association (WWEA) strike in 1917, during WWI. The American Cigar Co. operated as a subsidiary of the larger American Tobacco Company. The American Cigar Company was found to be significant under Criterion A (Industrial and Social History) and Criterion C (Architecture). The interior and exterior retain most of their original historic features and character resulting in strong historical integrity. The building is also closely associated with African American history as related to the women’s labor movement.